For: smartphones, watches, computers, electronics. 5 points Star: 0.8, 1.2. 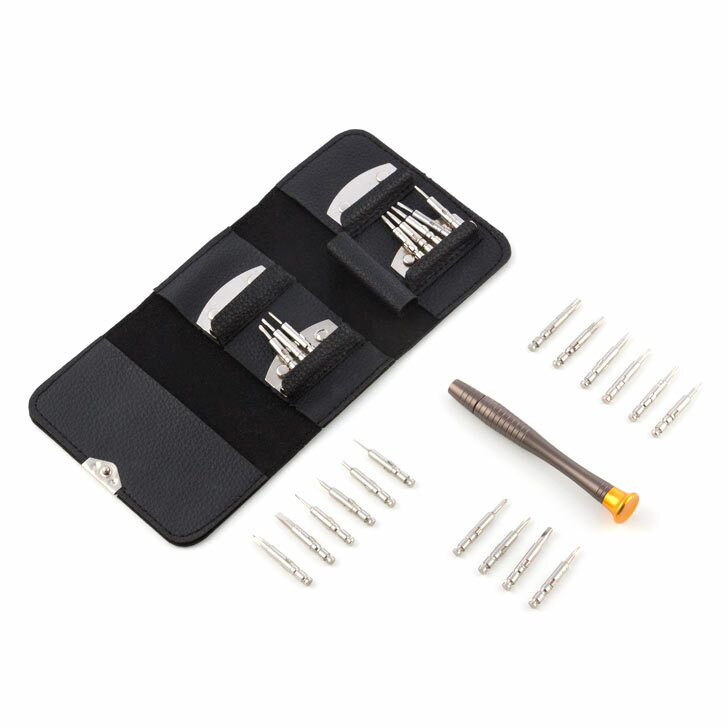 Torx: T2, T3, T4, T5, T6, T7, T8, T9, T10, T15. Triangular: 2.3. Type Y: 2.0. Cross: 1.0, 1.2, 2.0, 3.0. Level: 1.0, 1.5, 2.0, 3.0.